What is Address Verification (AVS) and why should I be using it? Address Verification is a very important step in any card-not-present sale. Whenever you accept a card without physically seeing the card, you inherently run a much higher risk of accepting a fraudulent card. 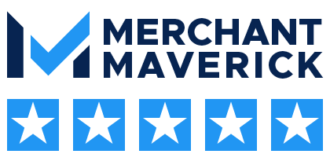 As a merchant, you want to do everything in your power to reduce that risk. There are no guarantees, but using the AVS (Address Verification System) can help a lot. Every credit card is associated with the bank that issued it. When you process any credit card, in real-time, the issuing bank is contacted and “asked” if the card is OK to run. Then, they respond with a yes/no answer. But if you send additional data, they can “verify” the data for you, to allow you to ensure that the customer you’re dealing with is who they claim to be! By using a terminal/gateway to send the customer’s address information, you allow the issuing bank to respond back with a “match” or “no match”, thus allowing you to decide if you want to accept the sale, or perhaps decline to move forward based on the mismatch. Most payment gateways like NMI and Authorize.net allow you to set powerful rules that automatically flag, hold, or decline transactions based on specific AVS responses. In addition to giving you more power at the point of sale, using the AVS system allows for lower rates. Visa/MasterCard recognize that when you use this system, you’re reducing risk on a sale. And, they reward you for it! The underlying interchange rates will typically be roughly 0.30% – 0.50% lower when you use AVS. You don’t even need to get a “match” to get lower rates. Just by checking, you’re showing Visa/MasterCard that you’re doing your diligence, and you’ll get better rates because of it. Dharma’s does not charge an AVS fee.